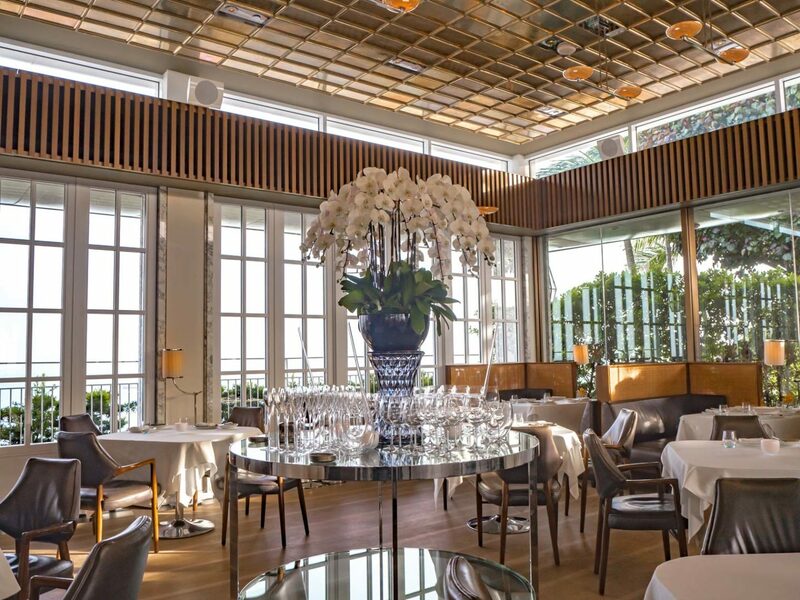 Spago Singapore is a part of the Wolfgang Puck Fine Dining Group. There are several Spago restaurants around the world. The flagship one is in California, in Beverly Hills to be exact. The other ones are in Maui, Las Vegas, Istanbul and Singapore. 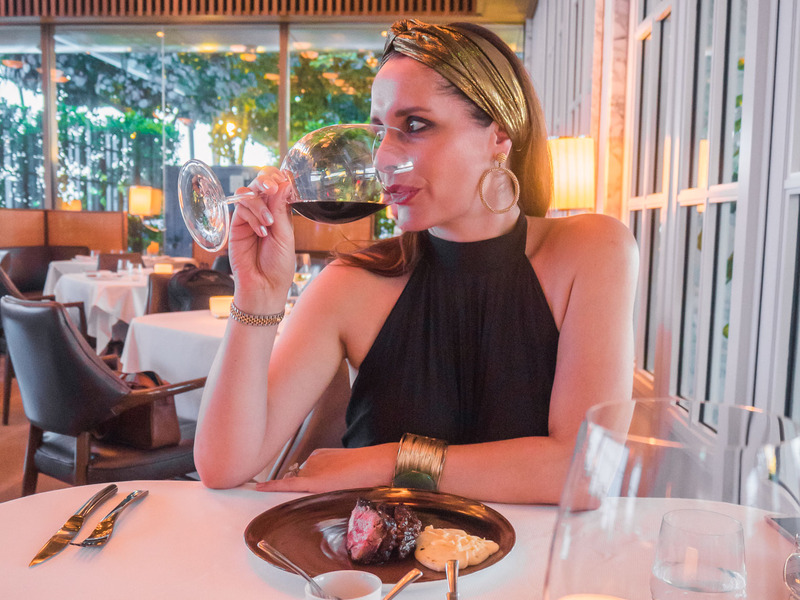 This review is about Spago restaurant in Singapore, which I just visited last Saturday. Spago Singapore is located at the top of famous Marina Bay Sands (the ship looking building) and therefore it has a decent view. I say decent, as right in front of the restaurant, from one side there is this incredible swimming pool fool of people at all times, so instead of beautiful skyline, you see a lot of people is swimming costume. 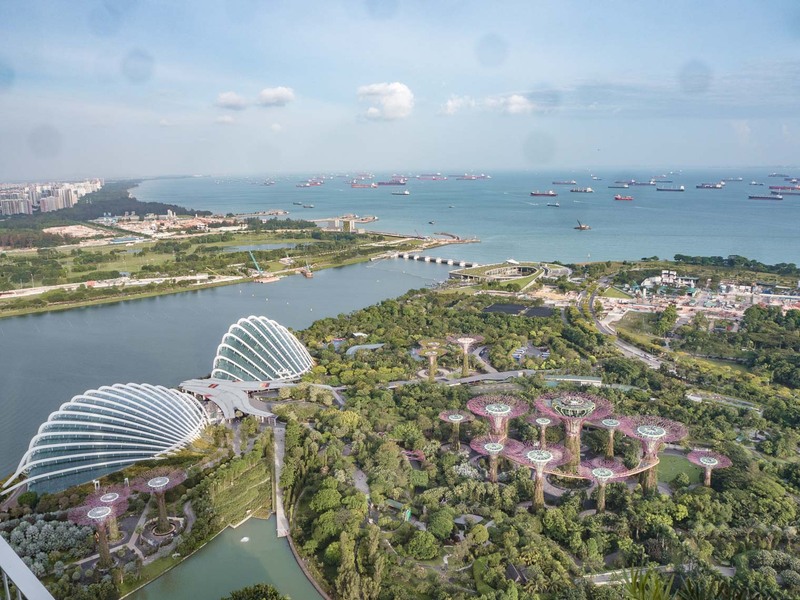 From the other side, however, you can enjoy stunning view of the Gardens by the Bay and from the top, they look so miniature, it is hard to believe they are actually something like 16 stories tall. Marina Bay Sands have 57 floors, so you can imagine the height. The menu is Italian with a bit of an Asian influence. However some dishes are the same like at Spago Beverly Hills, which we still remember even though it has been few years since we last went. 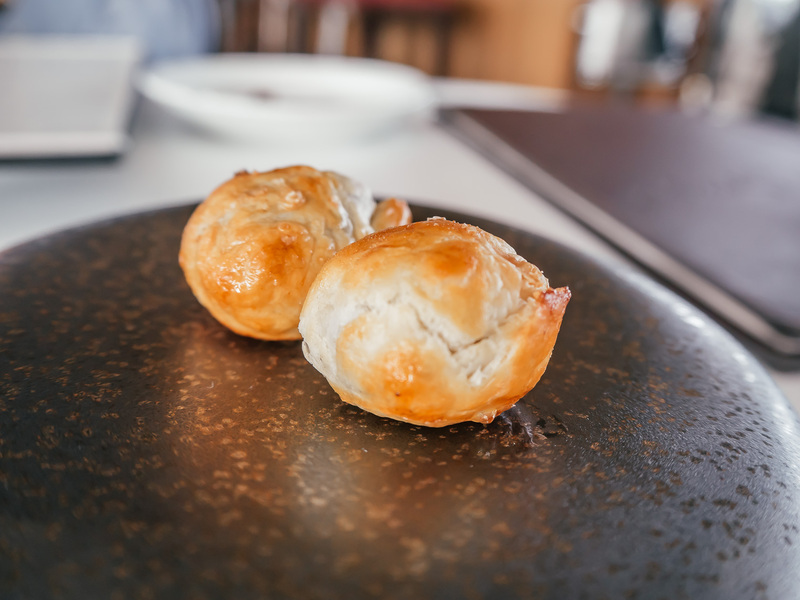 As an amuse bouche we got puff pastry filled with truffle and Parmesan, which was a delight. 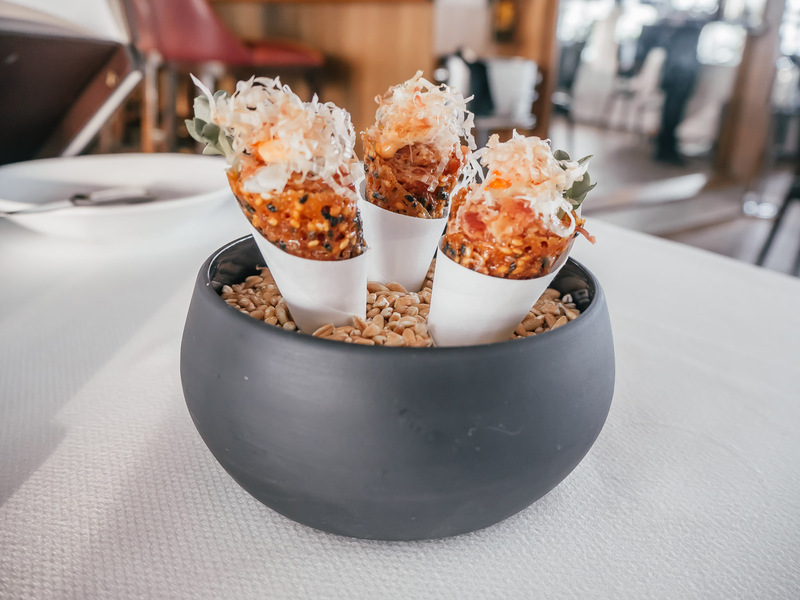 To follow we shared cones with tuna tartar and spices. I learned, that there is a one person who’s only job is to do these delicious cones with sesame seeds all day long. This is the dish we remembered from Spago Beverly Hills and couldn’t resist. They are divine and you should definitely have those. 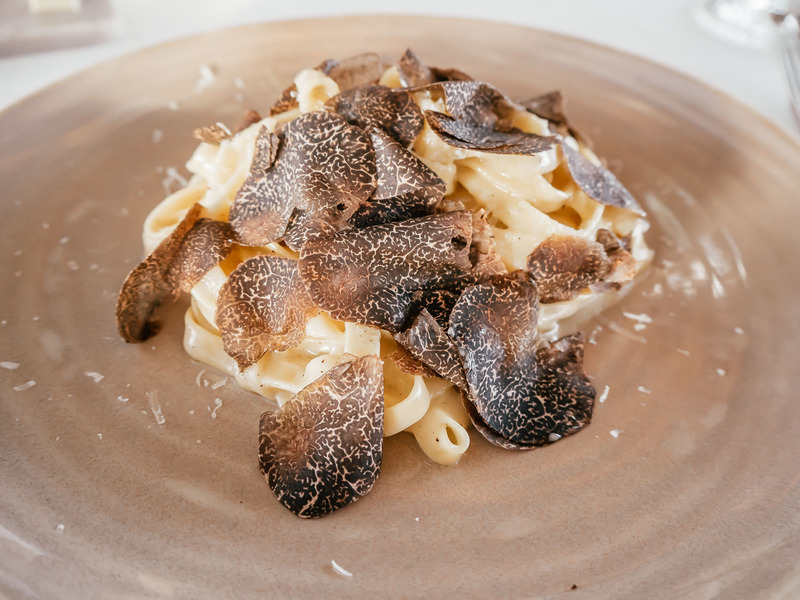 As a starter I chose Tagliatelle with truffle and it was a great choice. Generally speaking, I try to avoid eating pasta in the evening, but if you are in Italian restaurant, pasta is a must, don’t you think? My pasta was beautifully cooked and the sauce very buttery. Maybe a bit too buttery but nevertheless really tasty and straightforward. 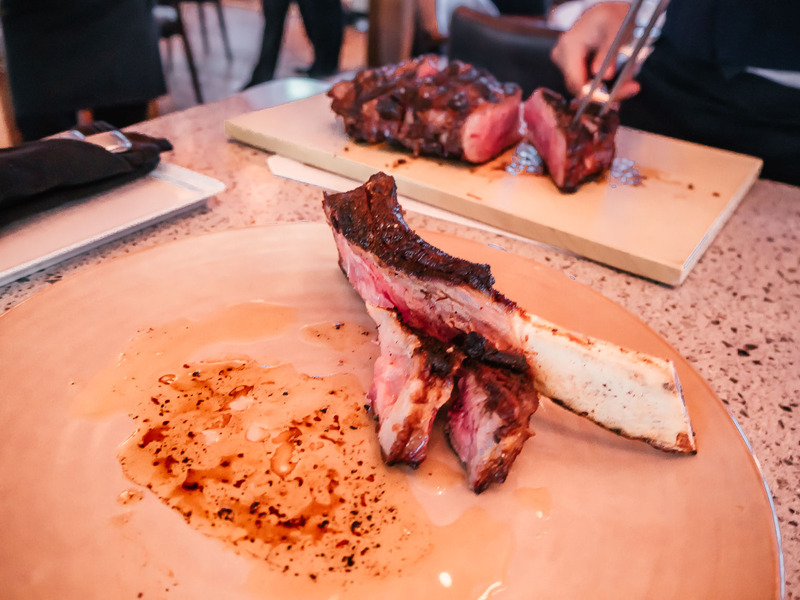 We were both very greedy and for the main course we chose a Cote de Beuf for two. Sometimes I am a bit suspicious of beef for two, as I worry it might be too rare. I like my steak medium rare. My worries quickly disappeared the minute i saw the trolley pulling to our table and the waiter started to carve the meat. It was beautiful medium rare piece of steak. It came with three types of sauces, Cheese, Bearnaise and Armagnac. As a side we got mash with cheese. It was more of a cheese with mash and it was perfectly decadent addition. The only problem was, that when it started to get cooler, we had the cut the mash with a knife as the cheese got cold and stiff. Finally the pudding. After eating all that, to say that I was full would be quite an understatement. However I couldn’t leave Spago Singapore without trying some pudding. 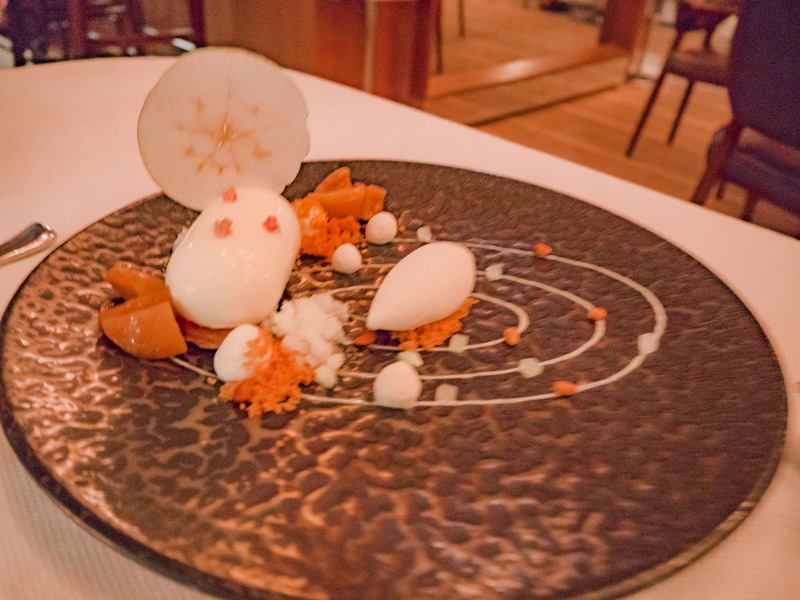 So in the end we shared apple tart with very thin pastry dissolving your mouth and ice cream on the side. It was absolutely delicious and even though I planned to just try the pudding, we both basically inhaled it within minutes. Another great dish. When it came to ordering drinks, we wanted to start with a cocktail and then continue with a wine. The cocktail list is fairly extensive and for once I like the look of lots of options. In the end I chose rum based cocktail. The name of the cocktail was “Good girl gone bad” and if I remember it well, it was with pineapple, coconut and chilli. One of the best cocktails I ever had and I want to try to do it at home. The wine we drank was American Dominus from Nappa Valley 2011. It was fantastic. Yes I would. In a heartbeat. The service was great and I love Italian food. And that kind of view as a bonus? Yes, I will take it any day. Also after the dinner, if you don’t feel like going home just yet, you can have few drinks in their bar. So if you are in Singapore or planning to go anytime soon, I would recommend you to go there. Just book very long time in advance as it is quite difficult to get a reservation. Is Capital Grille the best steakhouse chain in America?